“The fate of our times is characterized by rationalization and intellectualization and, above all, by ‘the disenchantment of the world.’” Max Weber’s statement remains a dominant interpretation of the modern condition: the increasing capabilities of knowledge and science have banished mysteries, leaving a world that can be mastered technically and intellectually. And though this idea seems empowering, many people have become disenchanted with modern disenchantment. Using intimate encounters with works of art to explore disenchantment and the possibilities of re-enchantment, Arts of Wonder addresses questions about the nature of humanity, the world, and God in the wake of Weber’s diagnosis of modernity. Jeffrey L. Kosky focuses on a handful of artists—Walter De Maria, Diller + Scofidio, James Turrell, and Andy Goldsworthy—to show how they introduce spaces hospitable to mystery and wonder, redemption and revelation, and transcendence and creation. What might be thought of as religious longings, he argues, are crucial aspects of enchanting secularity when developed through encounters with these works of art. Developing a model of religion that might be significant to secular culture, Kosky shows how this model can be employed to deepen interpretation of the art we usually view as representing secular modernity. 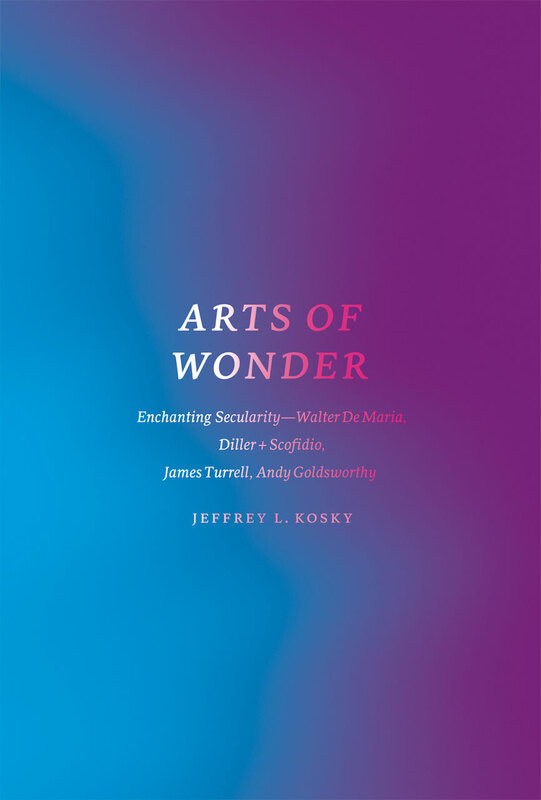 A thoughtful dialogue between philosophy and art, Arts of Wonder will catch the eye of readers of art and religion, philosophy of religion, and art criticism.